12.5-inch and 14.5-inch Barrels IN STOCK NOW! 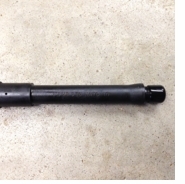 Genuine Hodge Defense Barrels built by FN to meet Hodge Defense specs! This barrel being used on the Hodge AU Mod 2 rifles. Utilizing FN's proprietary steel and technology, these barrels were designed to Jim Hodge's demanding specifications and optimized for the military's M855A1 EPR ammunition which is much more demanding on barrels. M855A1 rounds operate at about 62,000 PSI (over 55k from M855) and are designed to perform to an expected standard of terminal performance and barrier penetration over a broader range of engagement distances; whereas previous ammunition was being criticized for being unstable and not providing consistent performance outside of a narrower optimal range. 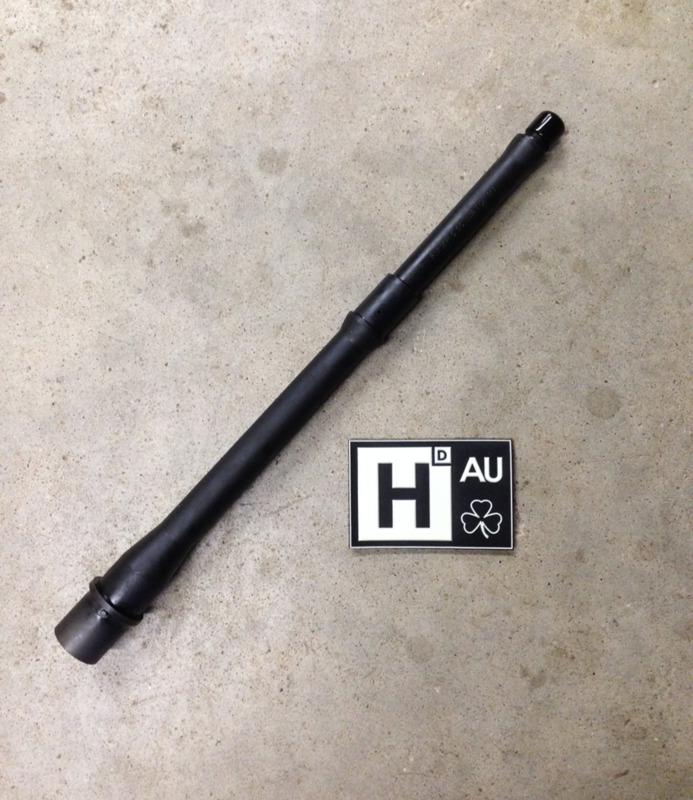 The AU Mod 2 has been optimized for running M855A1 EPR, and this barrel is at the heart of that system. 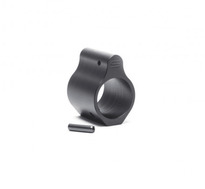 Note: this barrel is designed for hot 5.56 NATO and suppressor use, which may require a standard or light buffer/spring for less powerful ammunition. 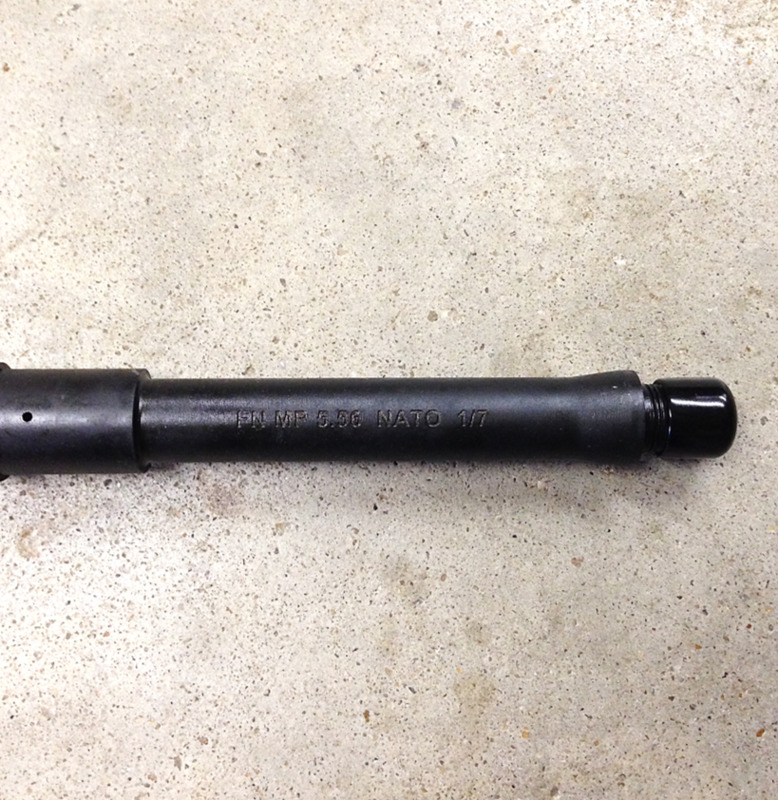 Once this barrel is assembled into a complete firearm, it becomes a regulated item by the National Firearms Act (NFA). Check with your local and state laws for any further regulatory requirements. The buyer is responsible for compliance of all NFA rules and applicable laws. UPS SHIPPING OPTIONS ONLY, NO $5 FLAT RATE ALLOWED. This is to insure the barrel properly. Choosing the wrong option will delay your shipment.